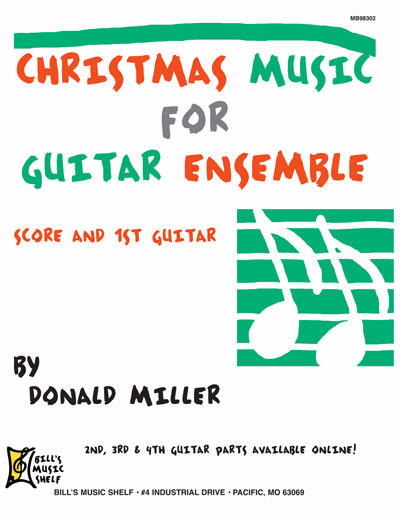 A collection of 10 Christmas favorites arranged for guitar ensemble. Ideal for performance, these arrangements are easy to intermediate in difficulty. The book contains the score, optional piano accompaniment and first guitar part. The 2nd, 3rd and 4th guitar parts are free internet downloads.